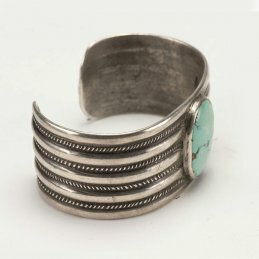 Categories: Artists, Maria Samora, Jewelry, Men, Women, Rings. 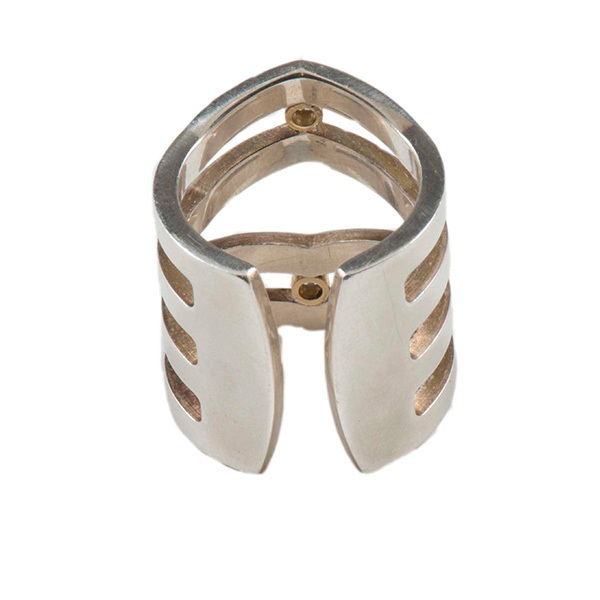 Maria Samora produces another powerful design from her V Strata line with this multi shank sterling silver ring. 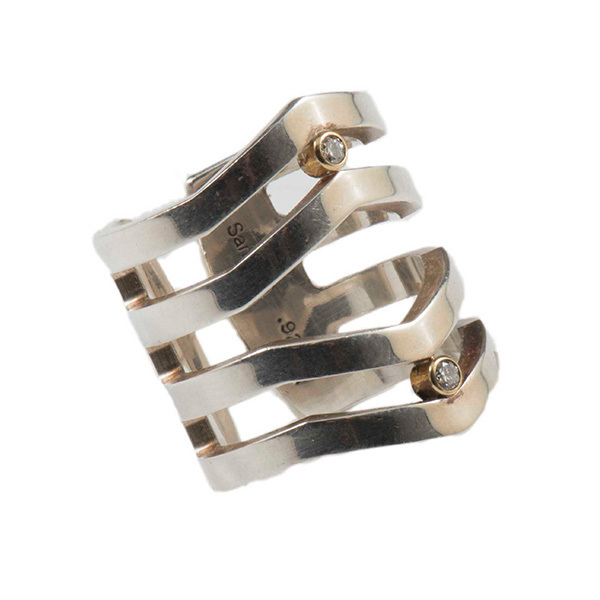 Decorated with linear geometry and embellished with diamonds set in 18k gold bezels, this ring is intriguing to the eye and comfortable on the finger. 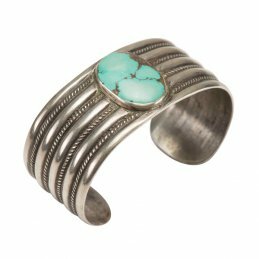 The band is open in the back to create ease of sizing.